A Lannister always pays his debts. Show an unwavering allegiance to House Lannister with this premium lanyard. 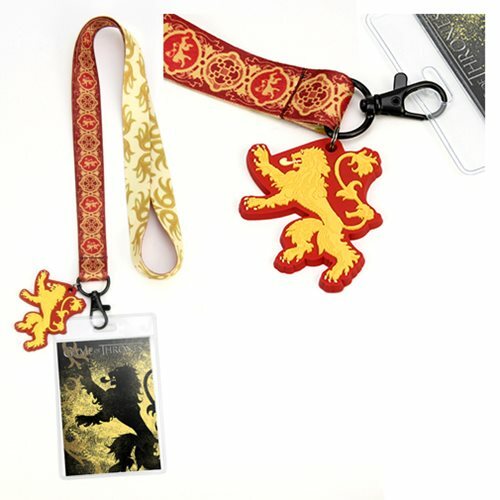 This sublimated Game of Thrones House Lannister Lanyard includes a PVC Charm of the Lannister lion crest and a clear ID holder with a printed insert. The lanyard strap measures approximately 17-inches long x 3/4-inches wide. Ages 13 and up.